Palm Springs, CA – We know the Palm Springs Vacation Home Rentals managed by Acme House Company have star quality – and that they are routinely a big hit with the show biz crowd. But we never tire of The Hollywood Reporter shining the spotlight on our vacation rental properties. Last week, writer Vincent Boucher took his Tinsel Town readers beyond the gates of The Bowie House – suggesting it as a great option for those who want to commune with the Thin White Duke. This fab fab Mid Mod pool home was decorated by a die hard Bowie fan who also happens to have an affinity for Palm Springs and its 1950/60s vibe. Sometimes you stumble across a few chords that put you in a reflective place. Such is the case with The Bowie House – a Mid Mod Palm Springs vacation home rental with star quality. Just like the music and stagecraft of David Bowie – this property is all about reinvention and visual presentation. This classic Alexander Home – circa 1958 – has the cool Palm Springs vibe of yesteryear while feeling very next century at the same time. Sheila remembers the exact date of her first time attending a Bowie concert during his Ziggy Stardust tour. Throughout the ensuing decades, Weyland probably saw the performer about 25 times, she says. 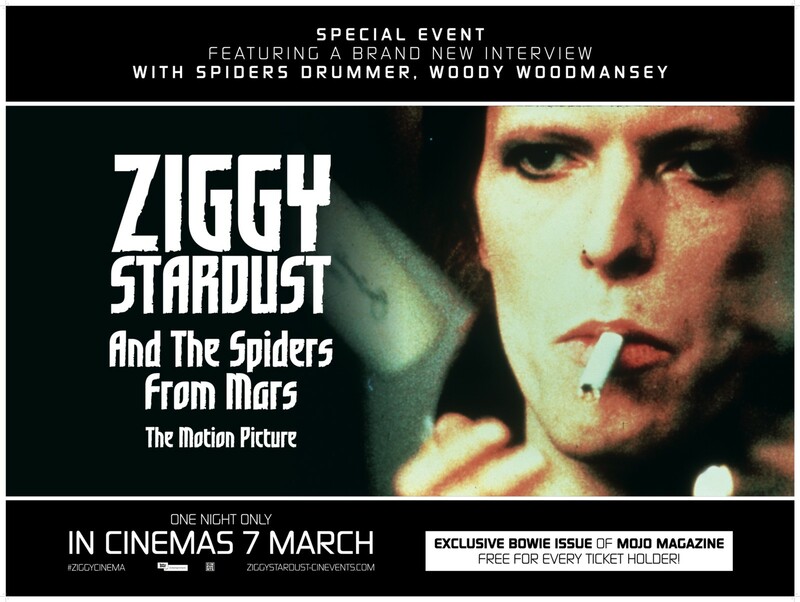 In the 1973 documentary Ziggy Stardust and the Spiders from Mars, she’s pictured dancing away in the front row at the concert where he famously retired the Ziggy persona. She treasures a screen-grab from the film. “It wasn’t the same in those days, everyone wasn’t taking pictures all the time,” she says. IF YOU GO: The Bowie House is available to rent by the week, month or season. Occasionally, it can even be rented for a long weekend. As of this writing, the last two weeks of April – including Coachella Weekend 2 – are available for bookings. For more pictures, rates and availability follow this link to the Acme House Company website. ABOUT THE BLOGGER: Modern Mary is a traveling gadabout who adores everything Palm Springs – from the architecture and design to the art, fashion and lifestyle. A social butterfly in the most modern sense – Mary enjoys swanky cocktail parties, gallery openings, music festivals, shopping and anything pink or yellow. She is a frequent contributor to the Acme Blog – keeping our readers up to speed on who is staying at our fab fab vacation rental homes and what’s going on in Greater Palm Springs and the surrounding desert cities of the Coachella Valley. Modern Mary loves big floppy hats, Jackie O sunglasses and prefers sensible shoes over back-breaking high heels.